Buckwheat Eggs Benedict | Avellana. 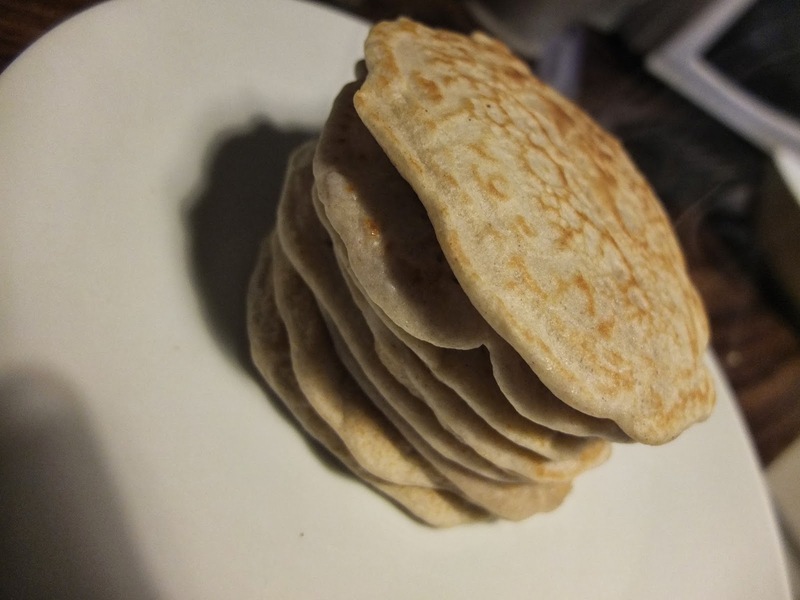 I’ve been meaning to make savoury buckwheat pancakes for what feels like forever. Unfortunately the supermarkets had other plans and I couldn’t find buckwheat flour anywhere. 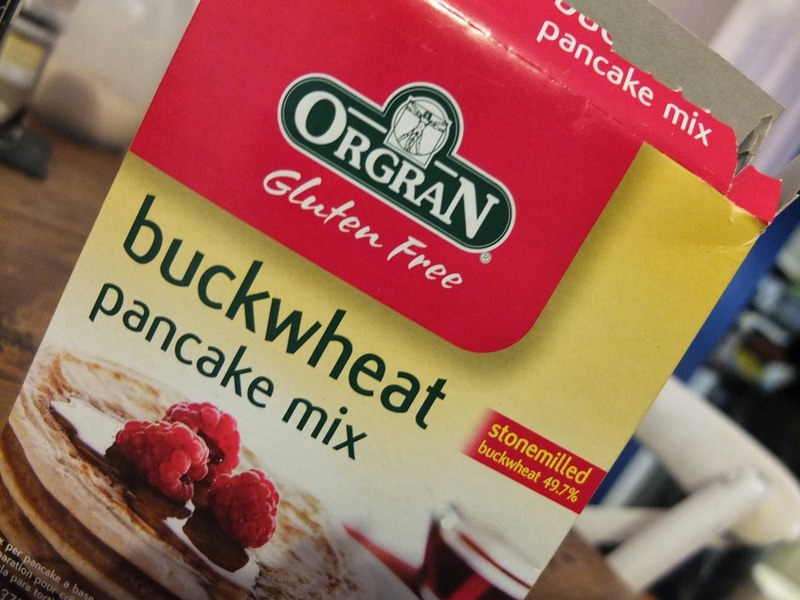 Inevitably, I ended up in Wholefoods, and seeing that this packet of buckwheat pancake mix was on offer, I couldn’t resist snapping one up. Buckwheat is an excellent flour to use for people with food intolerance. This is because it’s wheat, gluten, dairy, yeast, soy and egg free, as well as being suitable for vegans. While many people believe that buckwheat is a cereal grain, it is actually a fruit seed that is related to rhubarb and sorrel. In terms of texture, buckwheat is pretty dense and heavy. You certainly feel pretty full after a pancake or two! The mix itself was very easy to use. I only wanted enough pancakes for M and myself, so I used half the packet which was more than enough. I simply had to add 2 small eggs and some milk (you can use almond, or soya) and my beautiful thick, silky batter was made. Onto the savoury topping. I absolutely love Eggs Benedict on an English muffin but it certainly doesn’t love me or my waist line. I think this probably has something to do with the Hollandaise sauce requiring an entire pack of butter. Instead I decided to use elements of it to make a delicious version with pancakes. 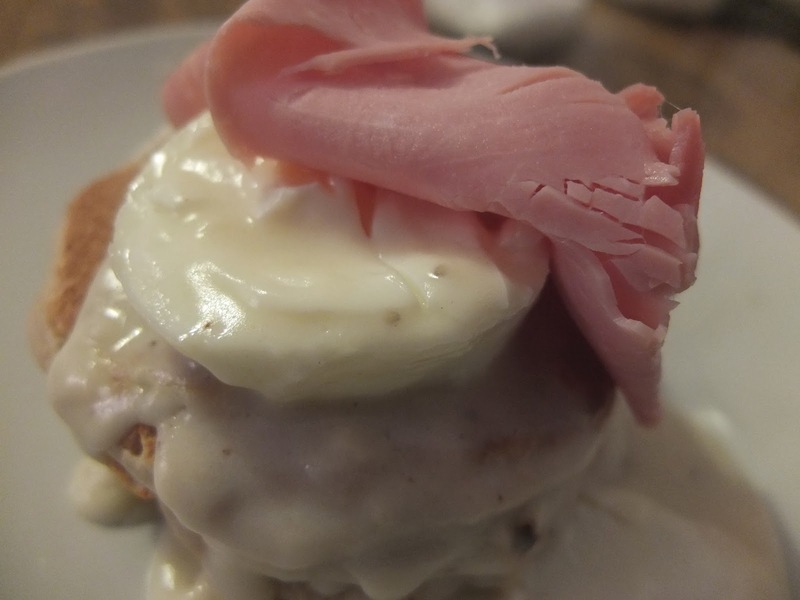 To this end, Buckwheat Eggs Benedict was born. This recipe is perfect for a luxurious yet light weekday meal or a delicious start to the weekend. 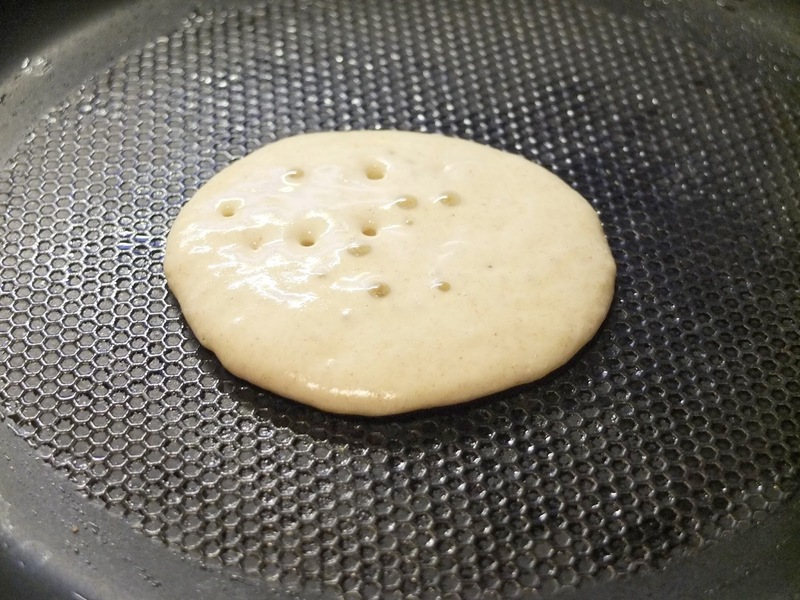 8 small buckwheat pancakes – made using this pancake mix or follow a recipe similar to this one. 1. Start by making the pancakes. Follow the instructions on the side of the packet and leave them on the side. You can always reheat them in the microwave alter if necessary. 2. Preheat the oven to 180 degrees Celsius. Grease 2 ramekins with a little oil – either vegetable or coconut. 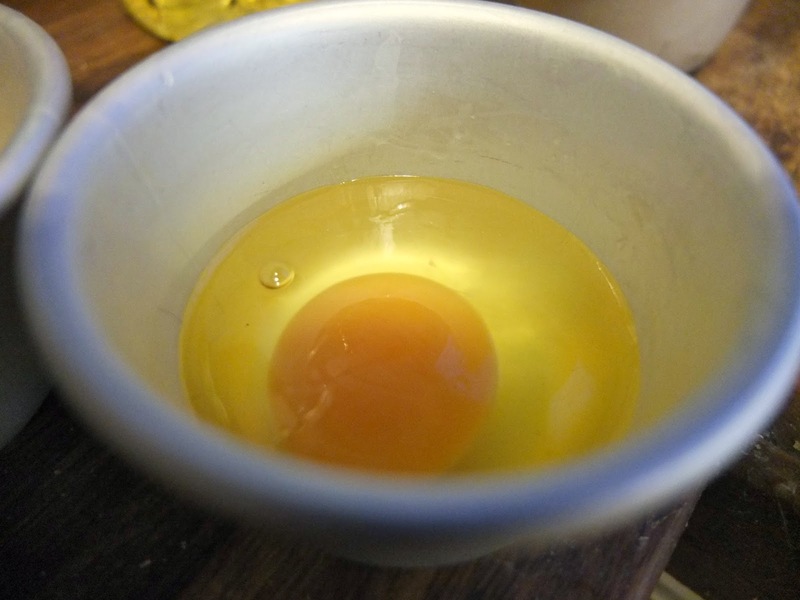 Crack an egg into each ramekin. 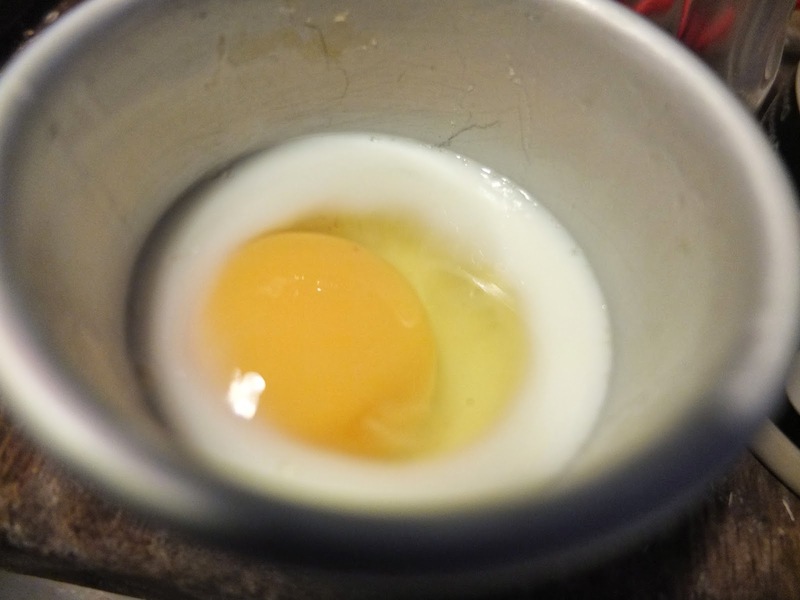 Place in the oven and cook until the white is almost fully cooked but so that there is still a border of uncooked white around the yolk. Now turn off the oven and turn on the grill to medium. 3. Meanwhile make an extremely simple cheese sauce by combining the flour, butter and milk in a saucepan over a medium heat. 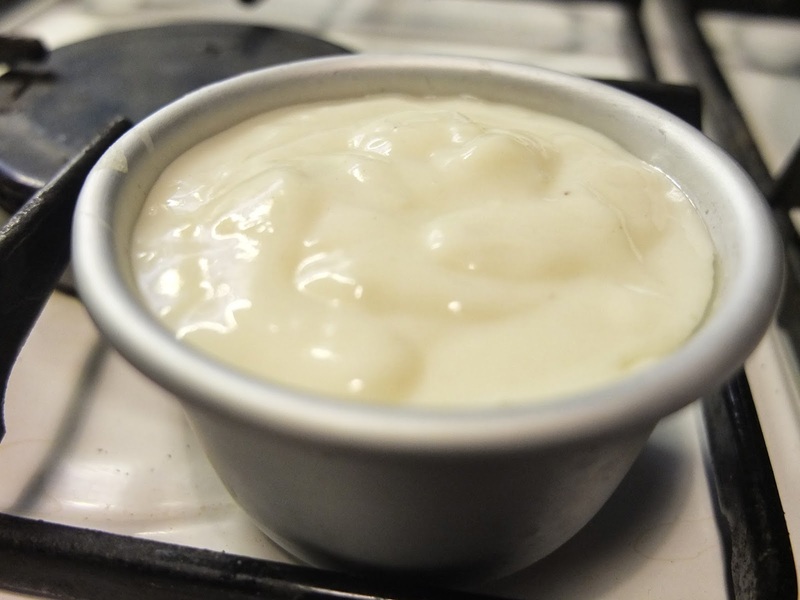 Keep stirring rapidly for a couple of minutes until you have a deliciously smooth sauce. I promise this a fool proof way of ensuring that there are none of those dreaded lumps. Sprinkle in the cheese and stir to combine. 4. 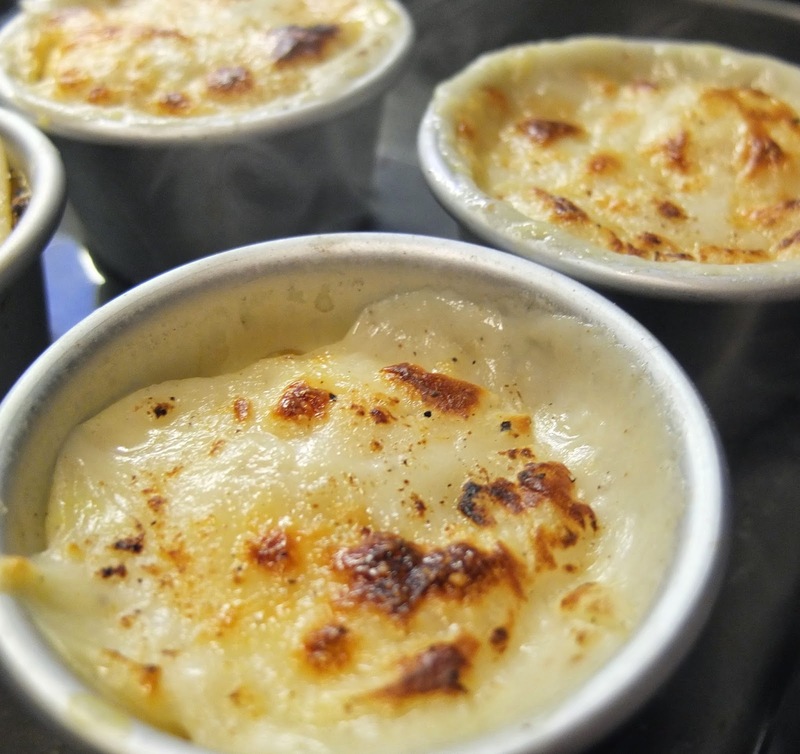 Remove the ramekins from the oven and top with the cheese sauce. Grate a little extra cheese on top. 5. Place the ramekins under the grill and allow to bubble away for four minutes until beautifully golden and bubbly. The yolk will still be runny and the white nicely set. 6. Warm up your pancakes, stack them on a plate, and turn out your baked eggs onto the top. 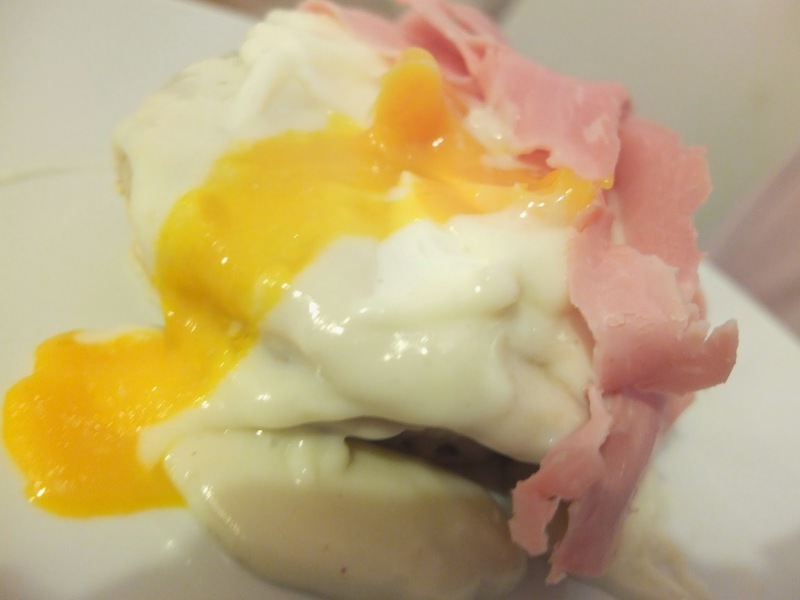 Top with the slices of ham. Please excuse the horrendous photos – I promise these taste amazing!